Home » Resources » What Is The Best MCT Oil? – Most MCT’s Are Good But One Is BETTER! With a lot of products on the market, you might be wondering what is the best MCT Oil when it comes to ketosis, energy, and focus. The best MCT Oil for those wanting the optimum benefits of medium chain triglycerides is C8 MCT oil. It’s the eight carbon length that is the reason C8 MCT oil is better than other products. The shorter the carbon length, the easier the MCT is to process by the body. That compared to the twelve and ten carbons of lauric acid and capric acid. Caproic acid only has six carbons but isn’t palatable on its own (it stinks and tastes foul) and is more prone to stomach upsets. Being odorless and tasteless C8 MCT Oil can be taken a number of ways. Take C8 MCT Oil before working out in a “keto” pre-workout shake or smoothie. C8 MCT Oil can be consumed straight (I often take a nip glass full when feeling flat). Experiment and try it in fat bomb recipes. Take MCT Oil when you want to get into ketosis. 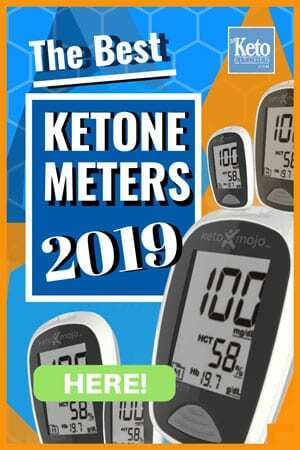 You can measure MCT Oils effects on ketone levels with a ketone monitor. First thing in the morning is a great time to reap the benefits of MCT Oil, and anytime you feel the need for a little energy. Taking MCT oil right before an event or workouts can give you a longer lasting energy than carbohydrates will. There are few brands around which we pick up from time to time at the health food shop. Something that’s been happening of late is MCT’s blended with flaxseed and other ingredients, which we do not like. We take MCT oil for a reason and it isn’t for the benefits of flaxseed. Also, we don’t need any more Omega 6’s. 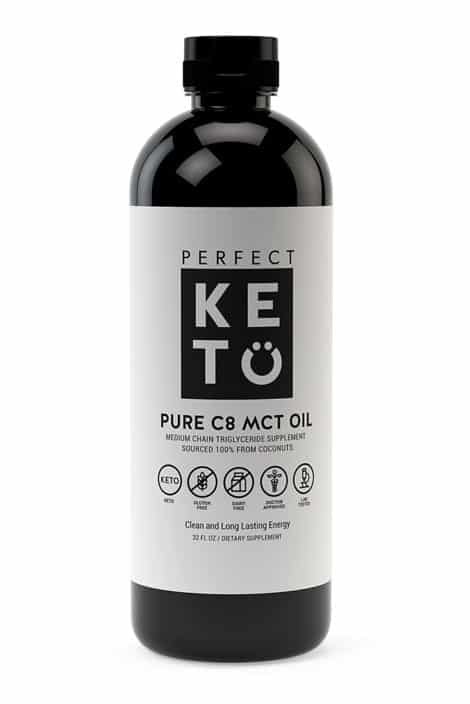 One of the best brands of MCT Oil is Perfect Keto’s “Pure” C8 MCT Oil because it’s 100% C8. Also, Perfect Keto is renowned for the purity of their products. There are others around but we tend to stick to what’s tried and true. 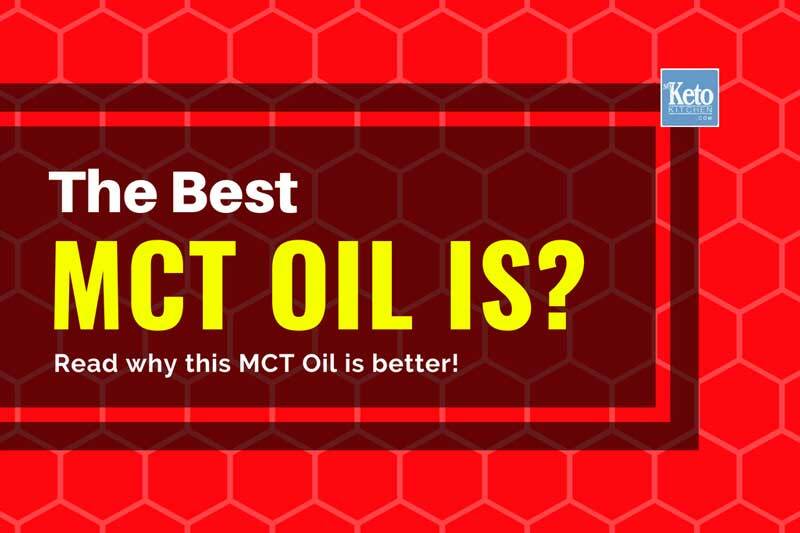 The best MCT Oil is the one that works the most efficiently with the least sides and that’s simply C8 MCT Oil.